The first purchase for any laptop owner should be a case to carry it in. Whether it’s a chic messenger bag for around town or rough-and-tumble backpack that goes well beyond general commuting purposes, keeping your computer safe is crucial to your machine’s life span. That applies to bargain laptops just as much as it does an expensive gaming laptop. We’ve rounded up some of the most stylish, fashionable, and practical laptop bags for everyone looking to add a bit of peace of mind to their daily travels. Some of the bags are costly, but, we’ve included some budget-friendly choices to pick from as well. The AmazonBasics Laptop bag is everything you’d expect from the Seattle-based shopping giant. It’s relatively comfortable and easy to carry, conveniently equipped with a padded interior that offers a separate space to hold your laptop without adding any unnecessary bulk. The minimalist shoulder bag’s multi-compartment design also provides all the necessary space for housing your cables and pens, and given the rock-bottom pricing, you could feasibly purchase a separate bag for each device in your arsenal. The bags accommodate laptops and tablets ranging between 7 and 17 inches, so you don’t need to worry about finding the right size for you. Just don’t expect anything fit for a fashionista, or an indestructible build–pick a durable laptop to complement this bag! 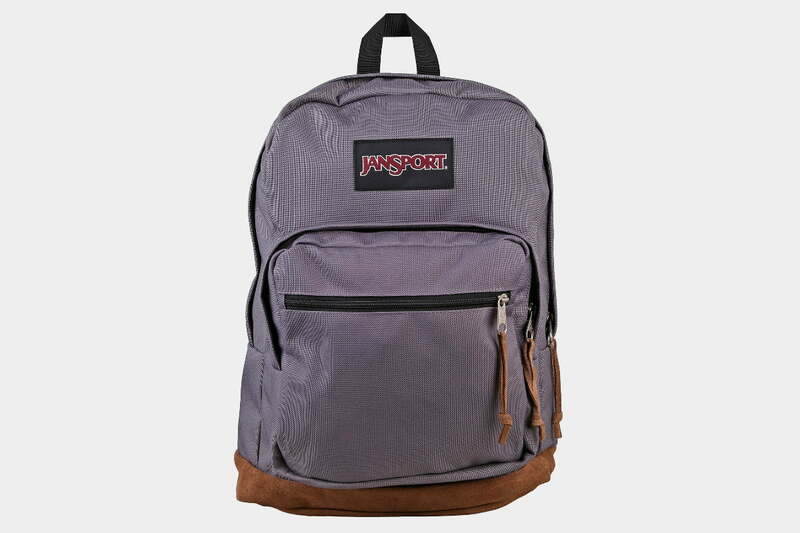 This simple, durable backpack is an affordable choice that comes in a huge range of different colors, all with that distinctive brown suede leather bottom section. 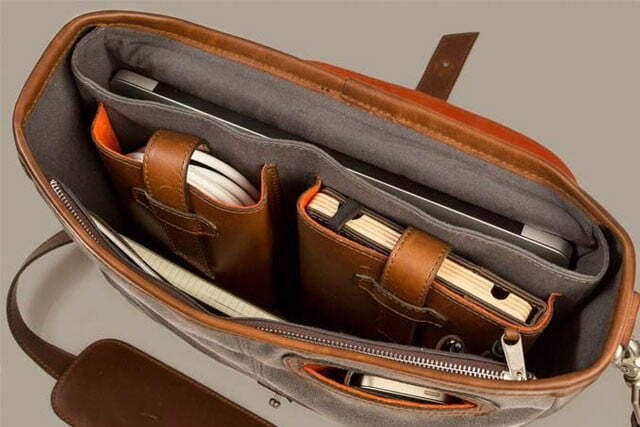 You’ll find a large main compartment which includes a sleeve for laptops that are 15 inches and smaller. There’s also a front pouch, with some organizing pockets for pens and accessories, and a handy clip. You’ll find a quick stash pocket on the front of it. The padded shoulder straps are comfortable, it’s not too bulky, and it comes with a lifetime warranty. 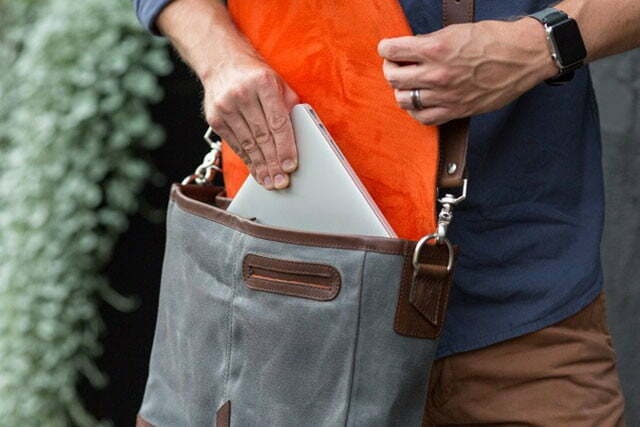 The laptop pocket isn’t padded, so you might want to combine this with a laptop sleeve. It’s hard to beat the unique style of a Herschel Supply Co bag, and the Retreat is no exception. 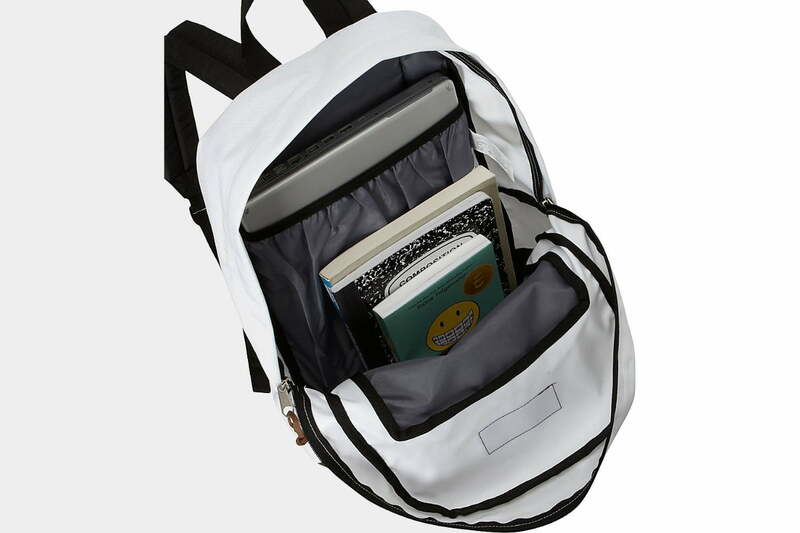 Available in a variety of colors, this spacious pack is dressed in coated polyester, with a reinforced bottom so you don’t break anything when you set it down quickly. The laptop sleeve is perfect for keeping your computer steady or holding onto anything you don’t want to be mixed with everything else in your pack. When you need to close everything up, the flap on the top provides adequate protection, with a pull cord inside, and metal clasps to really batten the hatches when the elements try to get the best of you. The Retreat comes in at an appealing price point, and there are sizes above and below it if your needs differ a little from the norm. If you’ve got a massive 17-inch gaming laptop, and you’ve just gotta bring all your stuff with you to the LAN party, the Asus ROG Nomad is a top pick. With a laptop compartment specifically designed for the Asus ROG G750 series of gaming laptops, you can carry any 17-inch laptop, along with your keyboard, mouse, peripherals, power supply, extra controllers, snacks, drinks, a tablet, a change of clothes, and a jacket. That might be an exaggeration, but only a slight one. It looks great too, boasting the same detail and aesthetic as the Asus ROG G750 series. With plenty of organizational pockets and lots of room, the Asus ROG Nomad is more of a weekend warrior than a work bag. Booq has a well-designed lineup that’s worth more than a cursory glance, but the Cobra Squeeze is currently one of the best laptop backpacks available. The turtle-shell pack is designed with the MacBook and iPad in mind, but you can fit other 15.4-inch laptops in here as well. The fabric is durable, water-repellent, and surprisingly smooth, with construction that won’t embarrass you, regardless of where you go. There’s also a dedicated phone pocket that benefits from an ultra-soft lining. 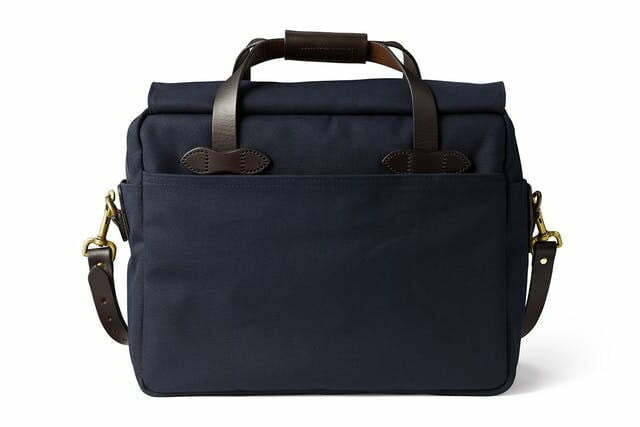 Designed for 17-inch laptops, this Hynes Eagle bag accommodates larger laptops that may not fit into small sleeves—and backs up this room up with versatility. 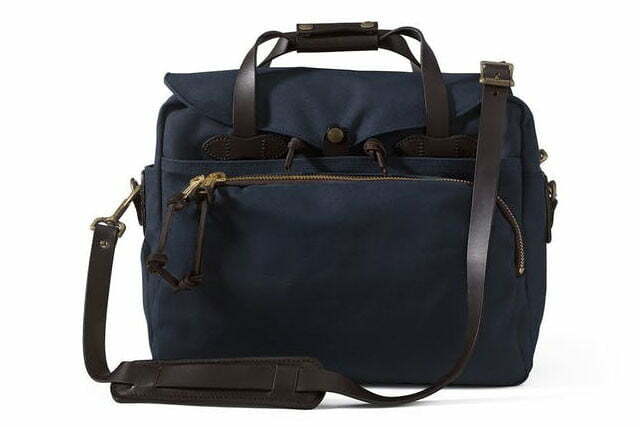 The bag includes two main compartments, two front pockets, a zipper pocket, three interior slip pockets, two mesh pockets, and a sleeve section for the laptop. In other words, you can carry nearly whatever you need, making this bag a great selection for commuting or school. The Fit Back is specifically designed for fitness lovers and gym goers who want an effective pack to store their electronics as well as their gym/workout gear. 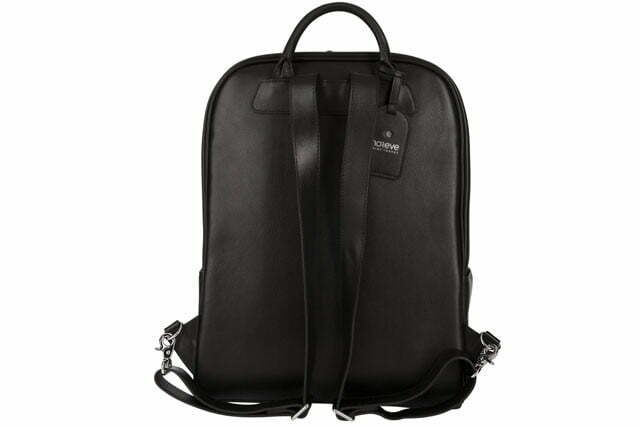 It includes a main compartment for gym stuff and a padded laptop side pocket that fits laptops up to 15.6 inches. There’s also a ventilated shoe compartment on the bottom and a top pocket for smaller devices, along with numerous internal pockets. Even if you don’t go to the gym, consider this pack if you have to change your outfit on the go. Believe it or not, Incase does more than simply manufacturer iPhone cases on the cheap. 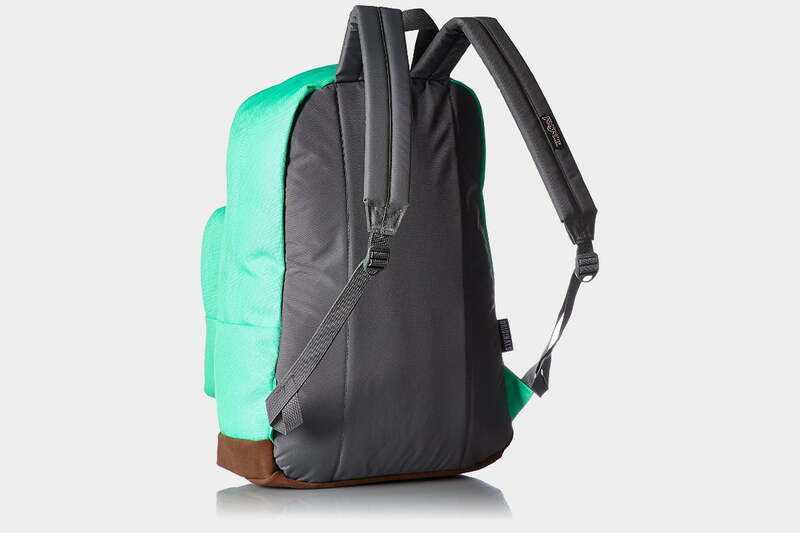 The company offers an entire line of laptop-friendly backpacks, further highlighted by standout products such as the Range Backpack. It’s essentially a no-frills cycling pack, one outfitted with high-vis reflective details and padded shoulder straps for added comfort and ergonomic support. An adjustable sternum strap also comes standard for stability purposes, as does a padded compartment designed to cradle your notebook with a plush, fleece lining. The multiple organizer pockets — specifically the compartment used for housing your U-lock — make it even more suitable for the average bike commuter, especially when combined with the nylon construction. The Mission Workshop R6 Arkiv is built around a modular rail system that lets you easily move storage components around, customizing the bag to your own liking. Buying the different pieces will cost you a little more, but for professionals who never stop moving and working, it might be the perfect system for getting exactly what you need out of your bag. Inside the hybrid roll-top/flap-down closure system, you’ll find a bag well-suited for a lot of stuff on its own, with a 15-inch laptop compartment to use for your computer or other documents. If two straps isn’t really your thing, you can also buy a separate strap to convert the Arkiv Field Pack into a sling bag. The Filson Padded Computer Bag is proof that classic “originality” can go a long way when you outfit it with a subtle touch of leather. The durable pack features a rugged twill that’s just as easy on the eyes as it is capable of repelling bad weather, and for those who seemingly bring their entire workspace with them on the go, the Original offers a massive interior compartment lined with dividers for laptop and accessory organization. Leather reinforcements and an adjustable shoulder strap round out the bag’s hallmarks, not to mention a zipper and storm flap closure designed to keep the contents in and weather out. Prices for this American-made bag can rise above $400, but you can find this bag for much cheaper if you choose the right color. Just make sure you pick a high-quality laptop to match! If you’re after some serious style, then look no further, because the Urban Backpack from Noreve is genuine full-grain leather perfection. 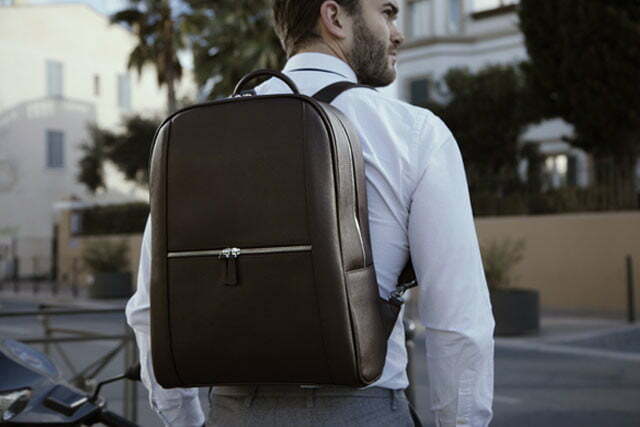 With an elegant, business look this backpack sports a large main compartment that can house a 15-inch laptop. There’s a compartment at the back with an elasticated Velcro strap, a couple of pockets for smartphones, and some smaller pen or stylus holders. There’s also a zipper compartment on the other side. Back on the exterior, you’ll find two side pockets with invisible magnetic closures and a classic double-zipper front pouch. 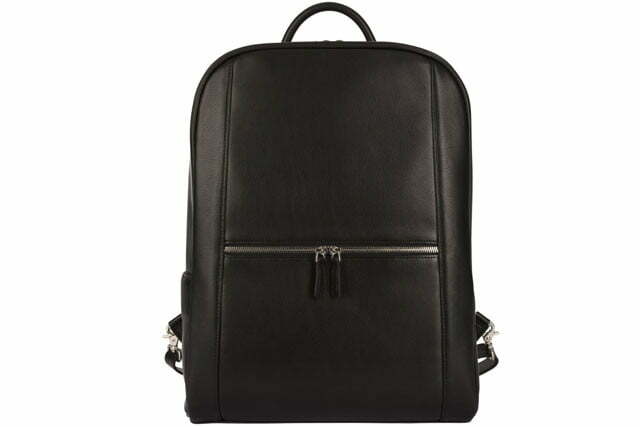 Adjustable shoulder straps and a strong leather handle round out this impossibly smart backpack. You can get it in beige, brown, or our favorite, black. The only drawback here is the hefty price tag. Pad & Quill has created an excellent tote for your favorite laptop — assuming it measures 15 inches or less. 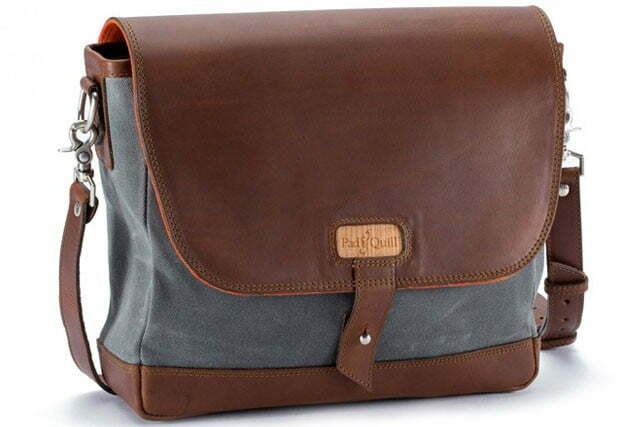 The company’s apt-titled Messenger Bag includes plenty of internal pockets, an external pocket for your smartphone, and a stylish combination of bridle leather and waxed canvas for added protection. Designed specifically for college students entering the professional world, this bag showcases a casual approach to style, and it’s hard to see a situation where it wouldn’t be useful. The downside is the high price tag, though the bag does come with a 25-year warranty. The rugged cotton canvas of Mobile Edge’s messenger bag is all natural and eco-friendly, while the compact design makes the bag easy to handle. In fact, ease-of-use is a common theme here. There’s a removable ID holder that you can anchor into position wherever is most convenient, and an integrated tablet pocket if you prefer to use two mobile devices at the same time and have a particularly great computer tablet. 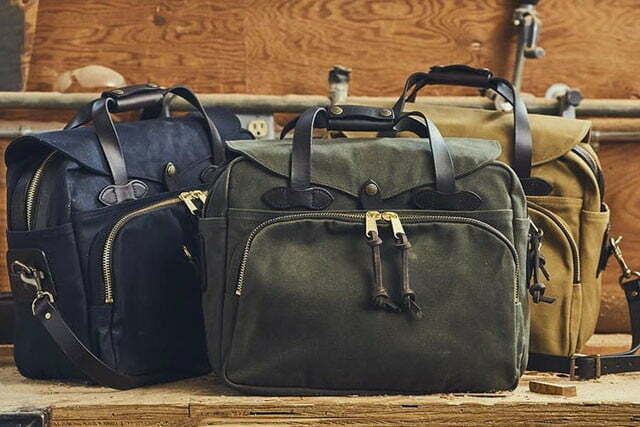 It’s pricey, but if you can afford it, Jack Spade produces some of the finest bags and cases on the market, with high-quality materials and sleek, professional design. The exterior of the bag is covered in tech grey textured nylon, for a lightweight, modern feel. Inside, you’ll find a padded tech pocket for your laptop or other computing necessities, and a spacious main compartment for your notebooks, reference materials, and whatever else you need to bring to the meeting. There’s also an outside pocket for storing anything you need to access quickly and easily. Blending stylish design and comfortable fit, the Moshi Urbana is fit to carry a laptop of up to 15 inches, with a padded compartment that also has room for your tablet or smartphone. The strap has an adjustable cushion, and you can have it fitted just the way you like. With a wide variety of interior and exterior pockets, as well as a water-resistant outer coating, you’ll keep all of your valuables safe and dry, and won’t have to dig through a huge bag to find your charger. The Urbana is available in three colors that range from exciting and trendy to professional and subdued, for a look that matches you and what you get up to every day. Nothing says “artsy” quite like Etsy. Aside from the usual offerings of handmade beard beanies and vintage Danish lights, the up-and-coming craft site also boasts a number of laptop bags for those who truly want something that’s one of a kind, right down to the stitching and color wash. Each of Etsy store MooseandPine’s small, dark denim messenger bags feature an off-white cotton canvas compartment suitable for 13-inch ultrabooks and other similarly sized laptops. Although two outer rivet-reinforced pockets provide just enough space for your cell phone or charger, the three additional inside pockets allow ample room for bulkier items, making the bag versatile whether you want to cram in a few classic novels or keep it light with no more than your laptop. While not all Etsy products are dependable, MooseAndPine keeps reliable stock so this bag should be available — and occasionally on sale. The Synapse 19 is a more traditional backpack done very, very well: The materials used by the Seattle-based Tom Bihn include nylon ripstop for fabric lining and exterior components, closed-cell foam for support, and an option for 400d – 1000d denier Cordua. The result is a water-resistant backpack with not only a compartment for notebooks or laptops (including a removable pouch), but also room for cameras, flashlights, sunglasses, first aid kits, and a little of everything else. The Synapse has a dedicated focus on internal pouches and compartments so that the outside remains free of mesh bags and confusing straps, creating a clean, stylish pack suitable for outdoor use in all types of weather. Laptop pouches can be customized according to size, and if you find the 19 too small, you can try the Synapse 25 instead! Not only is Arc’teryx considered to be one of the most premiere outdoor brands of all time in most circles, but it’s also oft considered one of the most expensive. The high price tag associated with the Granville Backpack is warranted, though, considering the taped seams and weather-resistant construction. The 20L pack also features a zippered back panel for quickly accessing your laptop or tablet from the padded 15-inch sleeve, as well as a reflective logo for increased viability, a key clip, and a convenient pocket for securing smaller items. The peppering of the color choices — Bengal Copper, Black, Marine, and Biome — make it even more accessible, whether you want to go with something subtle or a bit more flashy. Colorado-based Topo Designs prides itself on manufacturing packs that are as suitable for hiking in the hills as your daily commute to the office. The Kleteersack 15L is a prime example of why that’s the case, providing a healthy 15 liters of space within a classic design built for the traveler on the go. The compact hauler utilizes 1000d Cordura for durability and protection from the elements, along with a coated pack cloth to create an inner compartment that’s completely lined. The natural leather lash tabs also render the pack ideal for stowing a bike light or other equipment, while side pockets and padded sleeves provide extra space for stowing a water bottle, hydration bladder, or even a 15-inch laptop. The resounding color options are just a plus. It’s worth noting that it’s easy to find this model for prices lower than the $170 MSRP. In recent year’s, Osprey’s name has become as synonymous with outdoor packs as Tide is with detergent — and rightly so. However, the aptly-titled Cyber Port was designed more so for the tech aficionado than the one heading into the back-country on a seven-day trek. Available in a bevy of attractive colors that tie retro style with modern sensibility, the panel-style daypack features a melange of storage compartments, each of which is intended for a different purpose. A padded sleeve provides adequate space for 15-inch laptops, while the main compartment houses important documents and a front pocket supplies a scratch-resistant space for your shades. Best of all, a zippered sleeve located in the front panel allows you to use utilize your tablet without ever taking it out of the pack. And did we mention the lifetime guarantee? While the Lowepro is a camera bag at its core, it has a great laptop compartment and enough features to warrant a look even if you don’t have a digital camera. The main compartment is broken up by a series of padded dividers, so you can have individual storage for all of your lenses and equipment, or whatever random stuff you’re carrying around with you. There are three access panels, one on each side so you can pull the bag under your arm, and one on top for larger items. The back is covered in attachment straps for all manner of extra packs, tripod mounts, and easy access storage. The ProTactic comes in two sizes, both capable of holding one or two DSLR bodies, plenty of lenses, and your laptop. If you’re looking for class and a laptop bag that’s meant for traveling, the (vegan) leather-adorned DonJon is right up your alley. Although it features a traditional laptop compartment — one technically designed for MacBooks — it also comes with numerous pockets for housing phones, cables, chargers, notebooks, and an array of other pint-sized devices. This makes it well-suited for a variety of situations, from a cross-country train ride to a busy weekend in the city. The removable shoulder strap also provides plenty of options for carrying the bag, and the price here is lower than expected given the quality of design and space you get in return. Timbuk2 is a mainstay when it comes to messenger bags, or at least it has been since the San Francisco-based company first entered the foray in the early ’90s. The Command Messenger is one of the most generic, sure, but it’s also a brilliant ode to simplicity. A host of external pockets provide ample room for your power chords and gear, while a Tricot-lined pocket protects your sunglasses and smartphone from unwanted scratches. Additional touches, such as the durable aluminum hardware and the TSA-compliant sleeve, add to the appeal, the latter of which allows you to check through airport security without having to remove your devices. Said feature — and the equipped Vista loops — make the Command worth more than just a cursory glance. Prices for this older model tend to be more affordable, but if you can’t find it look for newer versions of the Command bag. The market for vertical laptop sleeves seems scarce, but Cocoon builds a solid neoprene one with a padded handle and form-fitting construction. The slender sleeve uses premium quality lycra fabric and provides lightweight protection and accommodation for laptops up to 13 inches without tacking on excess and surely unwanted bulk. The bundled Grid-It system is also an interesting method of organization that firmly holds your belongings in place using rubberized woven elastic bands and versatile construction. Though customization and features are limited beyond that, it’s available in three colors (racing red, gun gray, and black), so toss it in a backpack or suitcase for a bit of added protection on the move. If you want a tough backpack that can hold a little bit of everything, including your DSLR camera (plus extra lens) and 15-inch laptop, this highly versatile Kelly Moore pack could be your ideal companion. It comes with everything from a removable padded basket to a credit card organization. The leather flap is secured with brass hardware and magnetic locks for basic protection.